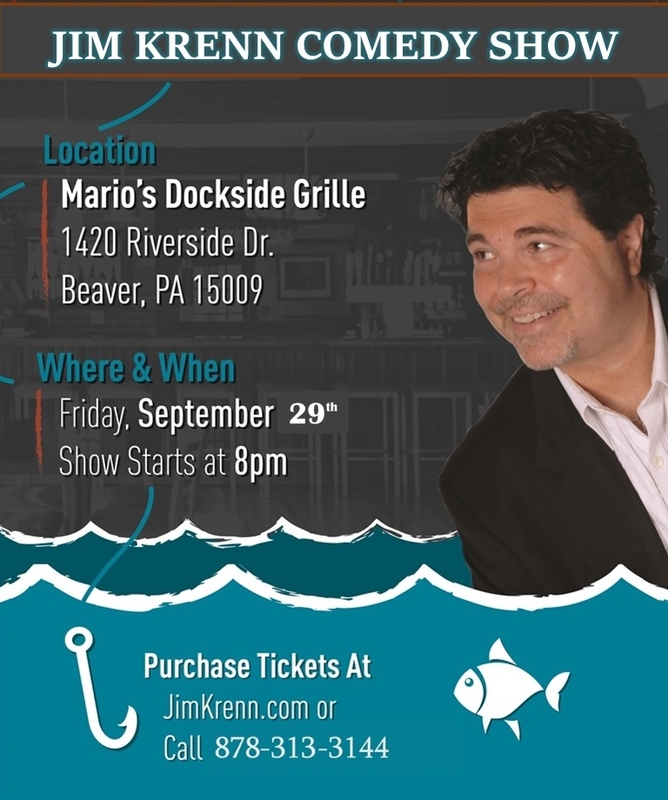 Make it a September to Remember with Jim Krenn! - talent network, inc.
ABOUT THE VENUE: If you’re searching for a delicious meal, stop by Mario’s Dockside Grille and choose from a menu of seafood, steak, pizza, or burgers. The nautical-themed restaurant in Beaver, PA has a total of three bars, including an outdoor tiki hut, where you can order your favorite drink and sip it by the riverside while you dine with friends!